Product prices and availability are accurate as of 2019-04-18 08:22:20 UTC and are subject to change. Any price and availability information displayed on http://www.amazon.com/ at the time of purchase will apply to the purchase of this product. If you’re looking for an anatomically correct, full-vinyl baby doll baby doll that captures the once-in-a-lifetime experience of bringing home a new baby, then this La Newborn is the perfect doll for you! 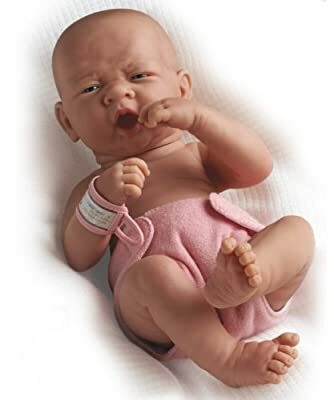 Made in Spain for children ages 2 or older, this La Newborn doll comes with several pretend accessories - a reusable cloth diaper, realistic hospital ID bracelet, hospital belly button gauze, and birth certificate. 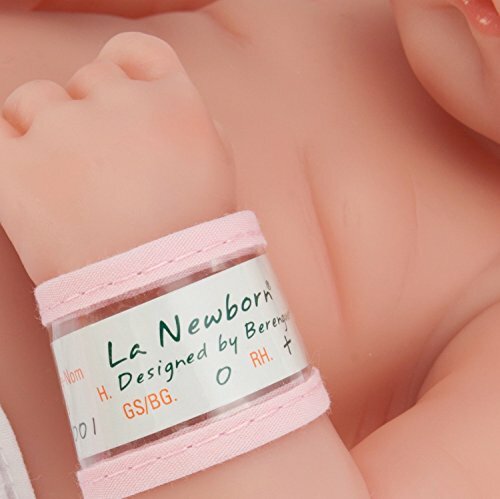 Every feature of the La Newborn was hand-designed in Spain by Designed by Berenguer, an award-winning team of doll specialists. The result of their expert work is a doll with finely-detailed features, like cute and crinkly toes, life-like eyes, and realistic expressions that encourage nurturing. The doll is 14" long and weighs 1lb. 8 ounces. No shortcuts were made in the making of this doll. You can keep it good as new for several years or more because of its durable and easily washable vinyl body. To make the doll brand new again, all it takes is a simple spot wash with warm water and mild soap. The body is unscented and the only moving parts are the jointed shoulders, hips, and neck. These rotating body parts allow you to easily add and remove the doll’s clothing for cleaning and dress-up fun. The La Newborn is manufactured directly by our company, JC Toys, a world leader in doll manufacturing. JC Toys is a family run and operated business with origins dating back to 1982 in south-east Spain - one of the top major toy-making and design centers in the world. 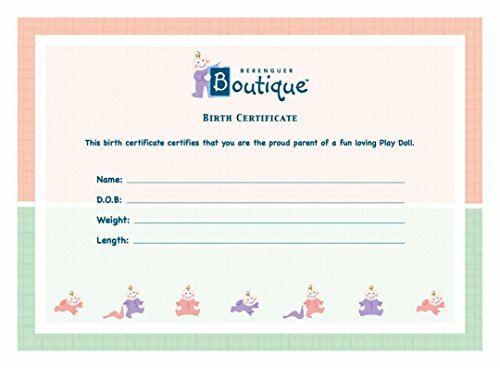 Today, you can find 100s dolls, playtime accessories, and more by JC Toys on www.amazon.com/jctoys Add smiles to a young child’s face today by adding this La Newborn to your cart now, so it can be ready for checkout and shipment ASAP - thank you!